Do you use planetarium software like Stellarium? You can input your location & any date & time you like and it will show all the celestial objects that you can observe. Well that looks a lot better than I was expecting you to post - I would think you should be able to see something (possibly even a fair bit), in that. If the erecting eyepiece is causing problems I think I'd try without it you probably won't need an erecting eyepiece when you look at the stars or moon. You will probably find that you don't need the moon filter either until you have it sorted. Esp. at times when the moon is only a crescent. I never use one. It just makes me think that the fewer bits and bobs you have in the way the least there is to cause problems. I think I'd also lose the Barlow. 2mm is still quite a magnifying EP - do you have an Eyepiece with a higher number on it, maybe a 10mm or a 20mm. That would be a better place to start - just the focus tube and a higher number Eyepiece - start with getting the moon focussed in that and see what you can see. I tink I can get a wood worker to build me a tripod from wood. And about astronomy in Nigeria, we are still in the dark ages. I know very little myself but when I point to the sky to explain some things to friends they are usually full with amazement or doubt. 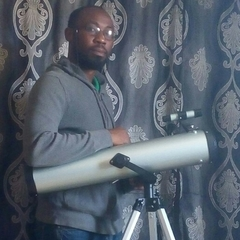 Am not an astronomer not even a physicist, am a microbiologist but star gazing, the moon, planets, galaxies and all heavenly bodies have been a kin interest of mine, my difficulty with numbers and calculation was what discouraged me to pursue astronomy. I probably would have been one of the very few Nigerian astronomers . Astronomy is the very oldest of sciences, and ever since people first looked up at the sky at night. 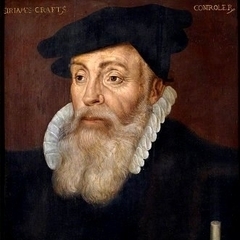 There were and are those who considered and consider themselves astronomers, but they did not and do not have an optical aid like binoculars or a telescope. Don't be discouraged by the mathematical aspect. I'm not one for the numbers myself, and yet I've been an amateur for quite a number of years. In order to choose just the right eyepieces, all you need to know is the focal-length of the telescope; 700mm in the case of your own. 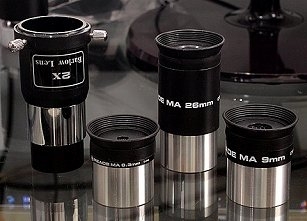 Eyepieces range from 4mm to 40mm, in general. That range is pretty much set in stone, for most telescopes. The most common barlow is a 2x, followed by a 3x. It is around that power and up where the planets are seen larger and well enough to note their details. And a 2X Barlow and a 1.5X erector eyepiece. Can 700mm÷ (12.5mm ÷ 2X)= 6.25 and a power of 112x help me see details of the planets? Secondly, is this calculations below correct? Therefore 700 ÷ 4.16 = 168x power? 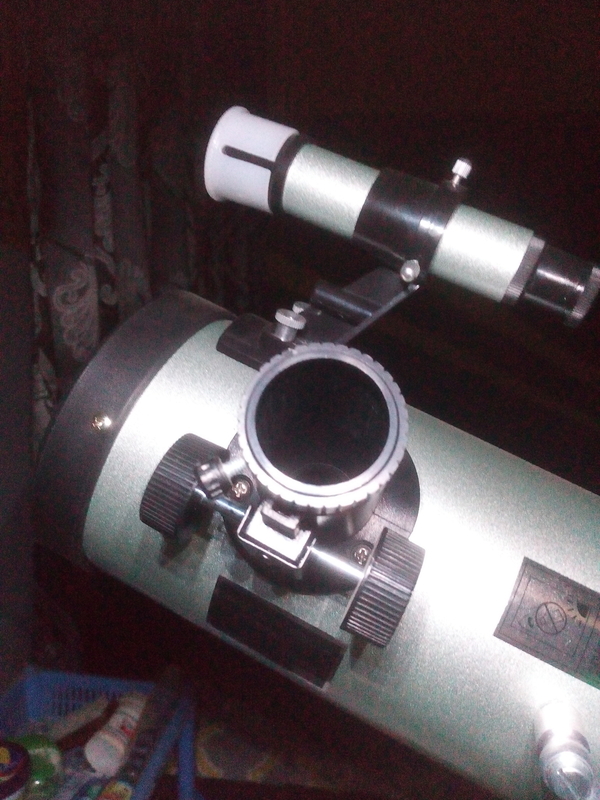 2X Barlow and 1.5X erecting eyepiece. Great profile photo of you and your new scope. You look very proud and should be. Once you get things sorted, you’ll be loving spending time under the stars with it. I’d recommend just sticking to the 20mm eyepiece to start. You’ll find things much easier and be able to bring them to a sharper focus. Once you feel confident, then start increasing the magnification. 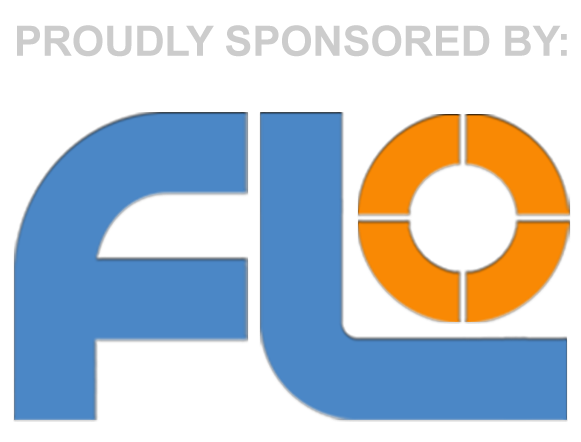 The most important thing, first of all, is to ensure you have your finderscope well aligned. i imagine you have, based on your daytime shots, however it may still be a little out. 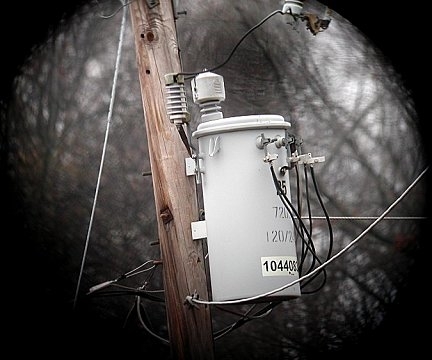 Make sure you have a particular very small section of that electricity pole centred in both the finderscope and the eyepiece to ensure it is at least roughly aligned. 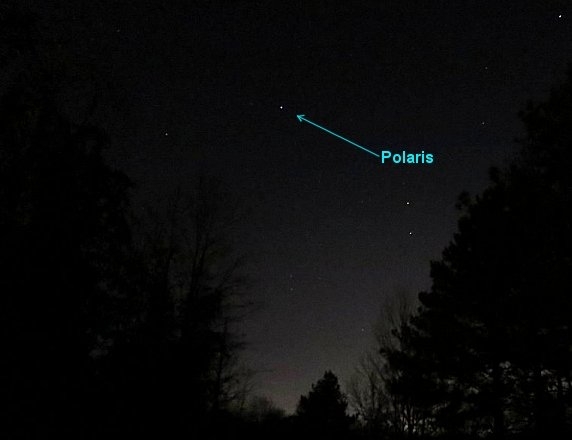 Simply having the pole in the finder and also in the eyepiece at the same time doesn’t mean it will show you what is in the finder through the eyepiece at night, as the pole is a lot larger (visually) than many of the things you’ll be looking at in the sky. Best of luck and I look forward to reading that you have everything under control and are loving the views!! Am grateful for your interest in helping me find my way to becoming an a mature astronomer. I will definitely update my experience on this platform as I become better. And a 2X Barlow and a 1.5X erector eyepiece﻿. But it's at about 150x and above before the planets really become worth the while. 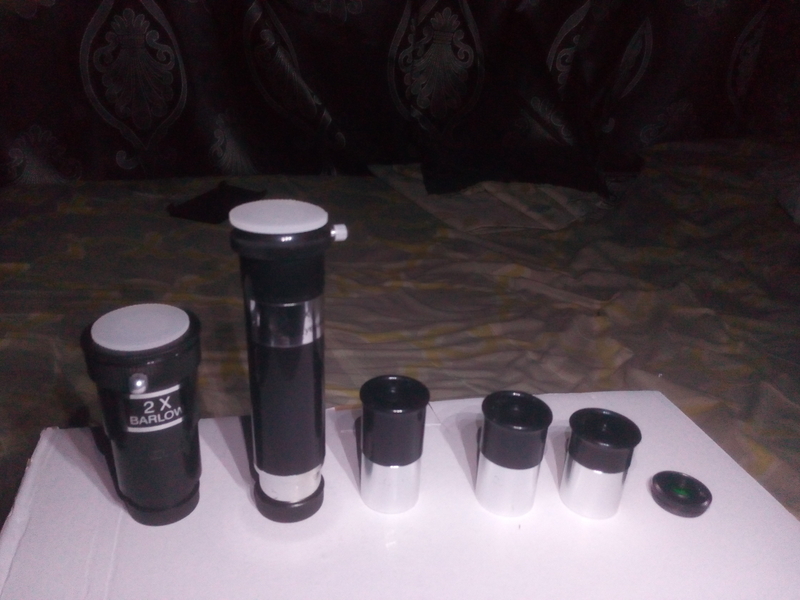 I would need to see clear, close-up images of your eyepieces and accessories to answer your last question; the top of the erecting-eyepiece and its specs-label in particular. ...if it's not too much trouble. These a pictures of what you asked for. The eyepieces, the 1.5x erector, and the Moon-filter, their diameters, appear to be of the .965" format, but I can't be certain. The barlow, however, looks to be 1.25" in diameter, the capped opening at the top at least. 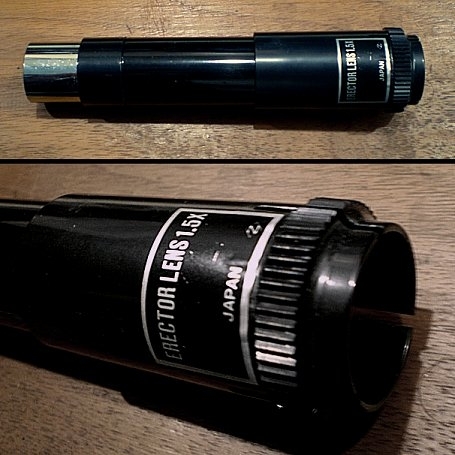 The focusser looks to accept 1.25" eyepieces and accessories, but again I'm not certain. Have you measured the diameter of those openings, and that of the chromed barrels of the eyepieces and erector? That would help to clear up the mystery. The red one would be a nightmare for those who must wear prescription-eyeglasses whilst observing. 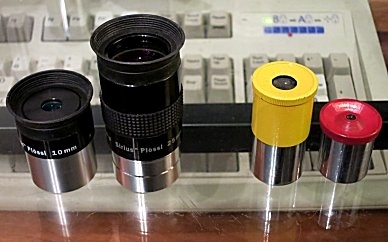 Those two on the left are of the 1.25" format, with their wider barrels enabling a wider view. 1.25" is still the current standard. 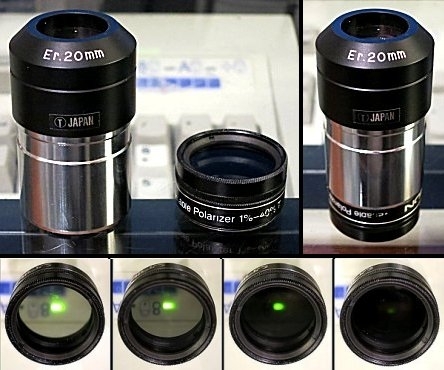 There are also 2" eyepieces out there in the marketplace, and with even wider views possible. Even 3" eyepieces are coming into being. I have only one 2" eyepiece, and for low, binocular-like views, but I rarely use it, as the 1.25" format is more than adequate, for myself, and others. 700mm ÷ (12.5mm ÷ 2.5x) = a simulated 5mm, and for a power of 140x, again. But don't hold me to it, as I may be wrong. In any event, I wouldn't combine all of that in the first place. An erector-lens is for daytime/terrestrial use; for land targets: birds in trees, ships at sea, and the like. The field-of-view would also be quite narrow. I would place an eyepiece into either the 1.5x erector during the day, or into the 2x barlow at night, and be done with it; although you certainly can experiment as you please, and as I do with my own bits and pieces. ...12mm ÷ 3x = 4mm, yet with a larger eye-lens through which to observe, and with improved eye-relief. That's one of best things about a barlow, in enabling that very thing. ...but the images are grainy, and two-dimensional. Whilst I was testing them, I also brought out others that I have, and with those giving a more satisfying view; no graininess, and near 3D. Eyepieces are not accessories. You cannot use a telescope without eyepieces, and you can't use the eyepieces without a telescope, therefore the two are as one, and inseparable. You don't have to have a barlow, nor a filter, but you do have to have the eyepieces. Else, either the telescope or eyepieces by themselves are as bricks, and useless. 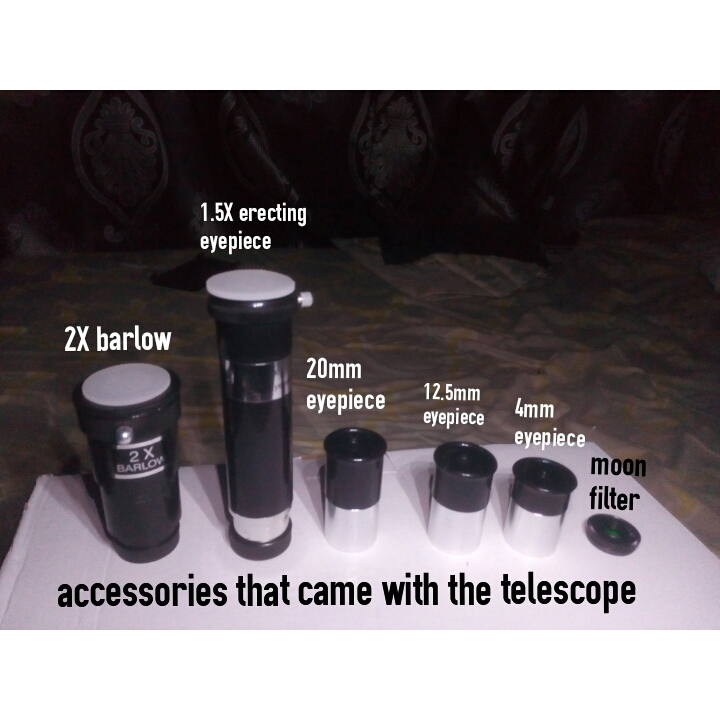 Indeed, many find that they spend more on eyepieces than they did on the telescope itself. Or, if an amateur images in addition or instead with a camera in place of an eyepiece, the camera takes the eyepiece's place, and the camera too can easily cost more than the telescope; far more when you consider all of the accessories to go along with it. Your telescope, in and of itself, should be quite capable in viewing the brighter and brightest objects in the sky, which is why I had suggested the wooden legs for the tripod. 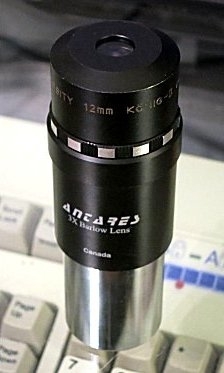 The telescope is a 76mm f/9 Newtonian, and with a spherical primary-mirror. 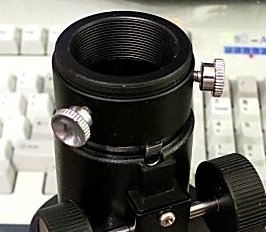 It has a rather small secondary-mirror, there near the front of the tube, and a good thing, in that the smaller the obstruction the less degradation of the image seen. 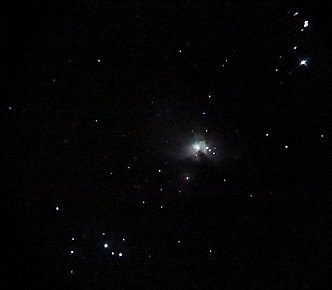 If the telescope is well collimated, which is easy to accomplish at f/9, then at the higher powers the images should be sharp. The higher in power you go, the telescope has to work harder, the collimation to be as precise as possible, and all of the optical components involved in the light-path to be of at least decent quality. 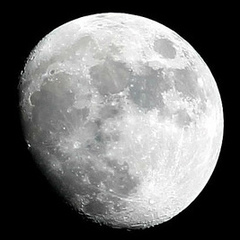 Per the 50x-per-inch-of-aperture "maxim", you should be able to realise up to 150x with the telescope, and even higher when observing the Moon. The Moon is relatively near to the Earth, therefore it will take more magnification before the image turns to a blurry mush. The atmosphere will also play its part, in either allowing or not allowing for sharper views; the "seeing". We can't do anything about the atmosphere. We're at its mercy. But we can place our hands on to the telescopes, and improve them. Wow... Thank you so very much sir, iv learnt so much from you and on this site. I would say am very luck to be hear. I will continue to practice with my telescope until am used to it and fully understand how it functions and hopfully soon I also would post pictures of celestial bodies I see from my telescope. Thank you again alan64, am so very grateful. If you look at the one of the telescope set up and hover over it to get the zoon up you will see a silver tube under the eyepiece that appears to have ridges along it. 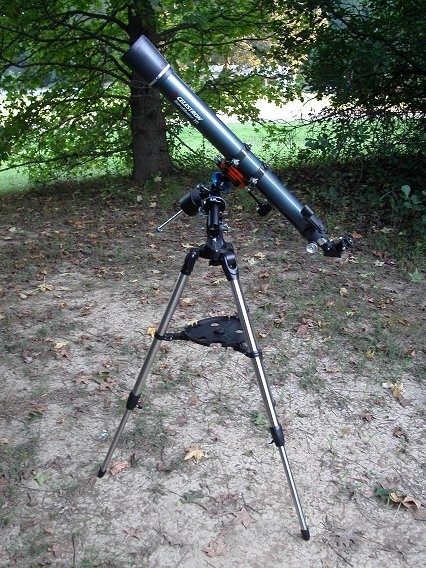 Can you confirm that your telescope has a similar fitment - if so then, just like the picture, just place the 20mm eyepiece that you have directly in that and that should provide you with something that you can focus accurately on the moon with. If you can achieve something that looks like the picture in that setup with the silver ridged turret and a 20mm EP that is what you need to be using IMO - if you don't have the silver bit can you get hold of it? Louis, I would like to expand upon your eyepieces and accessories there. During the day, you can place the 20mm into the 1.5X erector, for a simulated 15mm and a power of 47x. That will be the lowest power for daytime use. If you want to see something particularly close, you can place the 12.5mm into the 1.5x erector, for a simulated 8.3mm and a power of 84x. However, when night falls you can use the 20mm(35x), the 12.5mm(56x), the 20mm combined with the 2x-barlow(a simulated 10mm for a power of 70x), and the 12.5mm combined with the barlow(a simulated 6.3mm for a power of 111x). The 4mm may not be to your liking, but that's for you to decide. I would try the 4mm out on the Moon, and for a power of 175x. You can certainly try it out on other, brighter objects. You'll never know what you might see until you try; or miss if you don't. 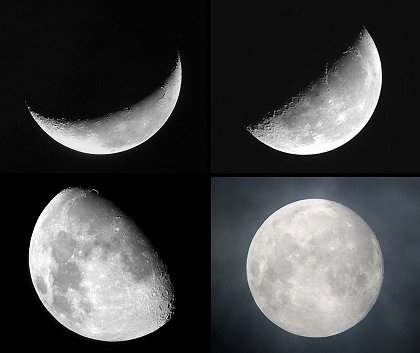 Its just unfortunate the moon is not out yet, I long so much to see the surface of the moon. Yeah.. Its 20mm, I can't even see anything with the 4mm...imagine what 2mm will be like. Yes it does have similar fitment, i lowered it in the picture I sent earlier. I have used the 20mm eyepiece without the 2X Barlow but with a moo filter, that is an image of the view, it only appeared green because of the moon filter. Ah! You have that image labelled as 2mm on the previous page! Hence my confusion. OK, moon filter allowing that isn't bad of the telegraph pole, if you can manage that you should be able to use the same set-up for the moon. I'd still start off without the moon filter though and just see how you get on. It will need quite an adjustment to go from looking at the telegraph pole to looking at the moon, but you should be able to achieve a similar level of focus if you twist the focus wheels enough. If you find you still can't then come back and let folks know, but I would hope if you twist the knobs enough that you can get the moon in focus if you can get the scope to sit still, The only other thing I can think of that might be leading to a blurry view is if you are getting the glass covered in condensation. If you hit dew point and the glass fogs you might just as well give up for the night, but you should be able to see if that has happened if you shine a torch onto the surfaces before you give up for the night. You're very welcome, and thank you. It's my earnest desire that everybody gets the very best out of their kit. Oh, the Moon will be out soon enough, and there may be a time in future when you wish that it didn't. There's no need to summon it beforehand. I suspect that you will upgrade someday. You might get a 150mm, or a 200mm telescope, and that will enable seeing the dimmer objects in the sky: galaxies, nebulae, globular star-clusters; and the planets like you've never seen before. 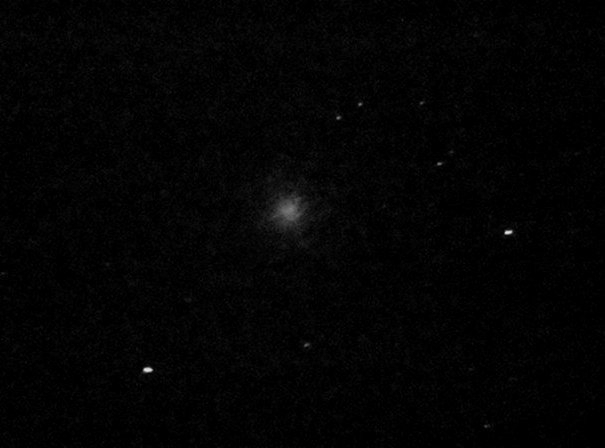 So you can imagine how dim it was at that high of a magnification(225x), but still it was quite recognisable, and just shy of being tack-sharp. It most certainly was not an instance of so-called "empty magnification". To wit, work that telescope for all it's got. Again, you'll never know what you might see, and might have missed. With my telescope I peered into the everlasting darkness of the night skies. Slowly I caught the brightness from a corner and I manoeuvre till it was centred this brightness I caught. It was like looking at the face of god. That grey can be so beautiful. By the enchantment of the moon. After a long moment of lunarhypnosis. Thanks so much sir, am sorry for replying late, iv been having network issues due to the weather. there may be a time in future when you w﻿ish that it didn't﻿. Lol... Am pleased to tell you sir, that I have been able to view the moon with my telescope. I saw details like what I see on TV. I've been studying the skies more since I got my telescope and iv been able to identify some very few constellations like Orion, and some planets like Mars, Venus and I think Uranus. What sir do you think I can look for with my telescope next? That's the brightest one in the northern hemisphere I believe, which is why I was able to take a snapshot of it; and that of Orion within the image above it.